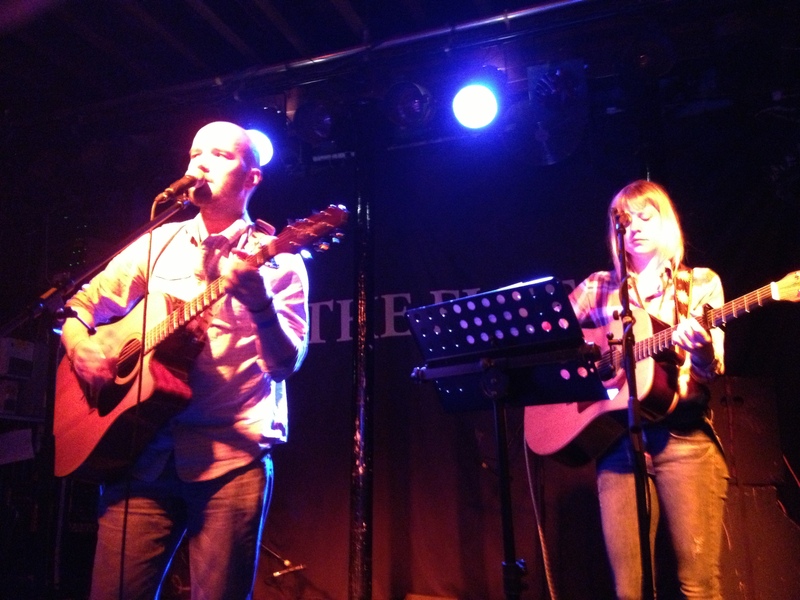 Trying to make a virtue our of my laziness I thought I would combine a wretchedly late review of Tom Mitchells new(ish) Ep and his set at yesterdays acoustic all-dayer at The Fleece. The Peeblemeister and I rolled along this Sunday eve to catch Toms set, nicely timed towards the top of the bill. As often he was accompanied by the equally talented Sarah Proudfoot who is herself getting some nice expoxure and reviews. Despite the inevitable babble at events like these his set rose above the noise, quite properly getting a fine and warm welcome from the excellent size crowd. In his all too brief twenty minutes or so he managed to get through a goodly number of the tracks from his EP (see below) plus a new song, The Phoenix. 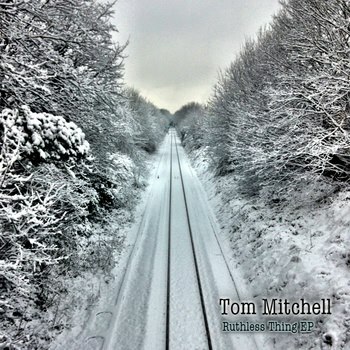 So to the EP – the snowy railway scene on the cover of Ruthless Thing, although familiar from recent weeks, feels strangely at odds with the music on this 20 minute EP from Bristol, based Tom and obtainable from his Bandcamp site. Rather than being exposed to the winters ravages, the music is much more a warm-by-the-fireside sort of thing. The picked guitar (slightly Mark Knopfler – in his less self-satisfied mode – by Toms’ own admission), the careful harmonies deliver a slightly more Americana flavour than straight ahead English folk stylee. The five self-penned tracks here all display a deft ability to write a jolly good tune with a strong narrative, but for me the most arresting track is Only Partly There with its deceptiveness happy sounding melody disguising the tragic lyrical content. There is nothing like a personal story to bring out the most authentic and heartfelt! Young whipper snapper Mitchell can also turn his hand, and add his own dimension, to some excellent covers too, many of which can be found on his Soundcloud pages, a personal favourite being the MGMT song Time to Pretend. Guitar in hand, Tom can be heard around Bristol and beyond with dates and venues up on his web site and his Twitter feed @therealtommitch will keep you up to date with the latest news. His first (?) Bristol headline show is up and coming at the lovely Louisiana on 8th May along with a slew of other chaps- must be worth £5 of anybody’s money…. This entry was posted in Uncategorized and tagged Gig, Tom Mitchell. Bookmark the permalink.